Information and best practice regarding the use of technology and social media for business. Each of these networks has its own special strengths and purposes. Choose the ones that are right for you and fit how much time you have. As in life, it is better to be positive than negative. Be full of generosity when you see things that you like. In Australia, a whopping proportion of us are active users. When you cut out the very young and the very old, you can appreciate the numbers. If there is one place you are going to be, it should be Facebook, no matter what kind of business you are in. If you dislike Facebook, for whatever reason, you might be interested in Minds. Minds is a social network that currently has 200,000 monthly users and is growing fast. It boasts an easy-to-use interface and regular engagement tools. It allows users to earn ‘tokens’ for their time on site and engagement. Twitter is used by journalists everywhere, bloggers, opinion leaders, politicians, et al. It is perfect for making quick connections and finding people with specific interests. Permissions, opt-outs, and the SPAM and CANSPAM and various national email legislation don’t apply, which makes it very easy and fast to form new contacts. Also effective as a customer service tool or to announce important breaking events such as service interruptions that will affect people. Well, Google Plus would have been my next recommendation. But Google killed it off this September 2018 after a large data breach with its API. These are more personal and visual accounts and about sharing slices of life. For a business, it’s best to have a personal angle by enlisting someone to make the updates based on their experiences at work (staff/CEO/whoever). Lufthansa, for example, uses pilot photos of places through the cockpit window. Remember, companies don’t Instagram, people Instagram. This is the network for the highest quality content. Allows you to position yourself for competence and expertise. Get staff to share them on their profiles so they show up to a proper audience size. Participate in Groups (if you can find a relevant group to you). This is a very aesthetic network. Almost everyone seems to be doing this now, but this is the recipe I think works best. After writing your post, get a quality image from a stock site like https://www.pexels.com/pexels that is royalty free. Have social share buttons (to everything) on every blog post. Send multiple Tweets (at least 3) linking to your article. Add a photo and link to your Facebook Page. If it is super newsworthy, submit a version to a media release distribution agency like MediaNet. Publish on Medium through ‘Import Story’. Create a 500 words synopsis and publish on LinkedIn and Google+. Turn your bullet point articles into slideshows with Slideshare. Turn your SlideShare presentations into videos for YouTube. Email your list a heads-up with the link. If you still have time, do some Guest Blogging for other sites. I hope that gives you a great toolkit. Remember, you have limited time and resources, so pick what you can achieve and schedule in some time each week for your social media. A few months ago I was managing nine websites for a company, all built in Joomla. So I did an extended course in Joomla over a few weekends. You know what I learned from the Joomla expert instructor? To use WordPress! I am delighted to tell you that it is WordPress that I use for this and now all other websites I create. I cringed at first. I thought it was a gimmicky website that would replace elegant design work with awful DIY wallpaper and slowly wrest demand away from quality graphic designers. I wasn’t keen. So I ignored it. To be honest, it didn’t really grab my attention until veterans like Joan Stewart and Guy Kawasaki start promoting it. When those two get onto something, I listen. I tried it out. I liked it. Now I really dig Canva. Why? Dig, you say? Now you dig it? Yes. I can dig it. This is why. Not just because it’s from my nabe – Surry Hills (Sydney). 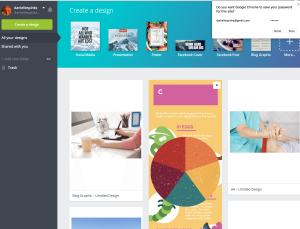 With Canva, you jump right in and – without any design headaches – you can drag and drop text, images, backgrounds, shapes, and all sorts of great features. With templates for Twitter, Facebook covers, Facebook post updates, posters, presentations, postcards, flyers, business cards, book and ebook covers, and print and web resolutions, you’re all set to create unique and eye-catching graphics to show off your posts. My once-beloved iStockphoto I have been using since 2004. I started as a contributing photographer, as well as a purchaser for the myriad campaigns I needed to pull together every year. I used to be able to afford the credits and the range of prices was reasonable for my employer’s wallet. Fast forward and I am sorely disappointed that, with Getty, the most basic package is now $36 AU for just 3 credits. Yes, the Getty quality if great, but c’mon. This is where Canva steps up. It has over 1,000,000 images and the quality is… well… it’s okay. You can usually get what you’re after. And most times the image is only $1. That’s what I like – transparent, easy to remember. A credit package is ten bucks and that kept me going for some time. Ten bucks is not much to outlay and you can get ten images out if it. Putting together graphs, pie charts, schematics and the like, well it’s expected these days. But it’s time consuming. Canva can help, even just with some ideas. The range has been helpful to me in planning my graphics for magazines, publications and reports. They are crude and a little rudimentary, but it’s a good place to dig about and see what you can get. There’s also plenty of free elements in there, like maps of countries and pencil clip art, that kind of thing. I adore typography and Canvas has a large selection of modern fonts to play with. There is also a ‘Design’ school tutorial section which shows people the basics of pairing fonts, developing colour palettes, and that kind of thing. I dig Canva because it helps bloggers, web users, everyone who has any website material or social media accounts to maintain to do so without breaching copyright. Believe me there are people so blissfully ignorant of copyright, you’d fall off your chair. You can use Canva as an option for people who are in the habit of taking images off Google images oblivious to the fact that, just because you can right click > save something, doesn’t give you the license to do it. It’s nice to have that clarity and creativity. Integrity costs you nothing. Well, with Canva it costs very little anyway. Do you use Canva? What do you think? Thanks to a gentle side of the giant, nonprofit organisations and charities across many countries, including Australia, are able to apply for a Google Grant. What is a Google Ad Grant? This is an opportunity to promote the organisation through Google AdWords up to the tune of $10,000 US every month. In reality, it is unlikely that your ads will generate this amount of clicks, but this is the maximum on offer. The ad links must be Search network only, so you cannot use banners or images; it is Text Ads only, I’m afraid. All the links from the ads must also go to ONE website and they cannot be commercial in nature. If you have multiple websites, you will need to consider creating a page for each of those websites on your flagship site, and directing traffic to that page. It means an extra click, but it should be worth it. Keep in mind that this does NOT mean it’s okay to have visitors land on a page full of links to other commercial websites. Google will not be happy if you are trying to work against the spirit of its offering. Nor will anyone else who is misled by your phony philanthropy. Applying is a three-step process and, like many Google products, can be confusing. I have created hundreds of Google Ads, but I have to admit that I failed on my first two attempts. • to be a registered nonprofit or charity and be able to prove it with a notification that you are registered with the Australian Charities and Not-for-profits Commission (ACNC) with Deductible Gift Recipient status. Step One: Set up a brand new Google account. You can’t use an existing one and it is preferable to use your organisation’s email address and domain if you can. Step Two: Set-up an AdWords Account and create at least one ad Campaign and Ad Group. You can create more later, but one campaign with one or two ad groups if fine. Step Three: Write down (or copy) the customer AdWords ID number that will be on the top right of the screen. You’ll need it soon. It’s important that you ensure a couple of things are done precisely or you’ll get a rejection notice. 1. Set your country as United States (even if you are in Australia). You can limit search to Australia only but don’t fiddle with the US. 2. Make sure to select ‘Search only’ and UNCHECK the pre-ticked box that says ‘include search partners’ underneath this. Critical! 2. Make sure you choose $2.00 as your default bid per click. This is a mandatory. You cannot set Google to choose. You must enter $2 for each click. 3. You must also enter the daily limit maximum of $329. This works out to be $10,000 if it were to be fulfilled. As I said earlier, this is unlikely. 4. When it comes to Billing, DO NOT ENTER a credit card. You have to choose ‘Save and Finish Later’ or ‘Set up Billing later’. If you do enter card details, you might be liable for any ads that start running and you won’t qualify for the grant. After you have created your ads, then you make your official application. Have your ID number ready and your PDF notification of charity status. This is a great coup for many nonprofits and has the potential to be a real driver for many if used well. But it does have limitations. One limitation is that the links do all need to direct traffic to one website. Many organisations have multiple business units, but, fair enough, it’s free. Secondly, anyone with experience using AdWords knows that $2 per click is not that high. In many cases your keywords will be below first page because the minimum bid will be $2.75 or $3 or more. Thirdly, very specific keywords often generate such low search volumes that Google won’t bother including them. When you get a low search warning, you need to change it to something less specific and thereby run the risk of being outbid. The golden zone is harder to reach when you have the $2 limitation, so more keyword phrases may be required than normal. Lastly, the process seems easy in hindsight but the amount of time I spent trying to get it right was high. It is important that you don’t try to apply for the grant before you have created your ads. It’s also important that you don’t create your ads from an existing AdWords account. Start fresh and follow the order described in this article. Google also has decent step-by-step procedures for making the application. I would only say ‘decent’ though, I wouldn’t say ‘terrific’ because there a minor bits left out that you need to know. I’ve tried to cover them here. In terms of effectiveness and efficiency, it’s hard to go past good ol’ Google AdWords. Google prides itself on creating positive and relevant user experiences for those using its powerful search algorithms. To create simple and effective ads that are low cost and measurable is not difficult when you get a handle on what you’re doing and how Google thinks. After you log into your Google Account, you will see the Dashboard. 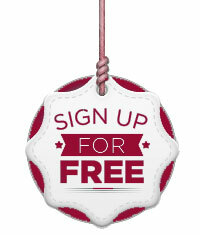 To create your ads, click Campaigns and then the Green button below +Campaigns. Here you can choose the type of ad. You can reach the most people by using Search Display network and Display Select the Search Network only (meaning organic search and search partners sites) or the Display Network only. There are a number of different types of ads you can run. This brief article will look at running simple Text Ads. At the top we have Campaigns and under that Ad Groups and within Ad Groups we have Ads. Each Ad Group consists of one or more Ads that use the same keywords. For example, if you are running a Summer Campaign for your swimming club, you would choose a New Campaign. You may then have various different ‘themes’ to promote, such as kids swimming lessons, squad activities, seniors swimming, and water polo. Each of these would become a separate Ad Group. Within, for example, the Water Polo Ad Group, we could then have a series of discrete Ads, such as Registration, the swim club’s equipment for sale, and a video on how to play. We create a New Campaign, and then New +Ad Group and enter our text and keywords. There are character limits if you are running a Text Ad. Be specific. Think about what the user is directly seeking. You can also set your targeting by country and age. You set a Daily budget and a per bid budget for each keyword. Popular keywords will cost more, but since they are generic, be sure to include very specific keywords relevant to what you do. In your ad, you type in a Display URL and a Destination URL. The display shows what the link will look like, the destination is the actual page the click will direct to. This is to reassure visitors that the link is going to a page on the Display site. If your ad goes to an external or third-party site, the Display needs to accurately represent where the link will go. You cannot initiate a program or activate anything through the link. Google doesn’t just place the top Ad from the highest bidder. It has refined its algorithms to try and ensure the user is going to have the bed possible user experience. Deeper pockets don’t necessarily provide this. From an advertiser perspective, Google provides you with the lowest price possible to display your ad. Maximum Bid x Quality Score = AdRank. The AdRank then determines the position of your ad and the cost. Having a high Quality Score is really important here. Google likes relevant, tightly knitted themes. It’s about being really specific, not generic. We need to think like a searcher who genuinely wants to find our solution. Do your keyword research. There are many aids within AdWords to suggest keywords, which you can select and deselect. The specificity and relevance will affect CTR. Is the Landing page relevant to the keywords in your ad? Your landing pages need to have content that contains keywords you are using, or the visitor is going to feel cheated. The content should be original not identical to other pages, and specific to each ad. The page itself must show good navigation. Google ‘bots’ will scour the page to determine that there are means of escape for the visitor and useful, relevant information such as Privacy policies, Terms of Service, links to About and other pages. Navigability is key. The old squeeze page you so often used to see – the big red IMPACT script headline and no links other than a big BUY at the bottom, well, Google hates these. Google also hates pop-ups or pop-unders and considers the page load speed and will penalise a slow loader. That means making sure your site isn’t hosted too far away. For example, pages on a US server will need to travel to the Pacific Ocean in order to load. Did you know you can now choose Online Video and link your AdWords account to your YouTube account (which is also owned by Google)? The video option allows you to track engagement and conversion data for your promoted videos. Playing with Google AdWords is fun and you learn as you go. While checking your Facebook News Feed, you may have come across the Pantene #Whipit ad that has now officially ‘gone viral’. In case you missed it, here it is again. Filmed as a TV Commercial for the Philippines market, the Pantene ad has caused a global sensation for its radical departure from conventional shampoo advertising. Taking a leaf from Dove’s Real Beauty campaign, (which has been tremendously successful), Pantene confronts gender bias and sexism in the corporate workplace and encourages women to shine. The inspiration for the campaign came from an October 2013 study that revealed that women were still experiencing double standards and gender bias “even in progressive Metro Manila” Rappler.com. The ad features corporate females doing identical tasks (presentations, running meetings, crossing the road, working late at night) and being perceived differently (boss / bossy, dedicated / selfish). b) make some money selling product (Pantene). Pantene with agency BBDO Guerrero Manila took a radical departure from the standard shampoo ad script, which often makes women feel disempowered because no shampoo really creates the preternatural shine (or the fabulous good looks and attractive glances) that the ads suggest. Instead, BBDO and Pantene have taken an empowerment approach and focused on successful women (with good hair) in corporate situations. The titles demonstrate the faulty perceptions about females in the workforce compared to men. It has succeeded creating a relevant, albeit tenuous, link to its haircare products and value proposition of shiny hair. Shiny hair, shine as a person. Get it? [Hmm, sort of]. Quality of the product / inequality of the situation. The ad ran for a month or two before a mention by Facebook COO Sheryl Sandberg saw it rocket to worldwide popularity. “This is one of the most powerful videos I have ever seen illustrating how when women and men do the same things, they are seen in completely different ways,” Sandberg wrote on her official Facebook page. There are critics. Some say the theme conflicts with the product itself. The results of the campaign are not available yet, as it still ricocheting through cyberspace. It has generated thousands of tweets and nine million YouTube views. Personally, I like the ad and for something that has only ever aired in the Philippines, it’s what I would call a ‘good spend’. I think it has generated smart conversations and created popular awareness about the differences in perceptions, including from and by women. It also makes me think that Pantene really is a smarter product than others and reflects my self-concept, which is pretty critical when marketing things like this. Like jeans for twenty-somethings, it’s not about the denim, it’s about how you see yourself and how you want others to see you. In marketing parlance, we call it the ‘transformational appeal’ and it can be more effective than an ‘informational appeal’ as long as you can make it past the rationality hurdles. That’s why I also like the ad from a marketing communications perspective, because it does what many brands try and fail to do well, which is successfully enter emotional and higher-order territory and favourably reflect the target market back to themselves. Apple was initially subversive (watch the famous Superbowl ad styled on Orwell’s 1984 here), now it’s creative and inspirational. Nike uses the ‘power of the individual’ (watch). Dove is ‘Real Beauty’ (this is beautiful). Even though I find some of the quasi-spiritual underpinnings of certain fast moving consumer goods eye-rolling, they can be enormously powerful. Archetypes and storytelling; quests, ideals and journeys are universal and deeply felt. They work because you can add have more nuts, thicker cream, a cheaper price, an easier payment system, but so can your competitors. There is no real differentiation and therefore no real loyalty. When you own emotional territory, it is very difficult for a competitor to displace this. You’re on a higher plane. You ‘connect’. As Services businesses, it’s easier for us. There is always a deeper, laddered down benefit of what you do. Always. The hidden, but powerful value proposition may be security. Confidence. Assurance. Romance. Idealism. A means to express individual self-identity. If you need help laddering down to your higher order benefit, send me an email. Also what do you think of the Pantene #Whipit ad? Love it or loathe it? Landing pages are a great way to brand your business Facebook page. I'll never sell or share your email address. MVMM 2016 from Danielle Spinks on Vimeo.